One of the problems family members face when older is limited mobility and dexterity. This can lead to a large number of problems. One of these is a decrease in the variety and health of their diet. If people are not able to drive to get fresh vegetables, and no longer able to grow things themselves due to arthritic problems of the legs, knees, and hands. While medicine has certainly improved over the last 20 years for older people, nutrition most definitely has not. Is there any way for children or grandchildren to improve the nutrition of their older friends and relatives? Yes, there is - setting up a small garden with the Groasis Waterboxx. The Groasis Waterboxx is a self refilling water battery for plants. It is a device that, without electricity or running water, collects dew and rainwater and funnels it to the roots of growing plants. The Waterboxx also surrounds garden plants (and trees) and protects their root zone from competition from weeds. 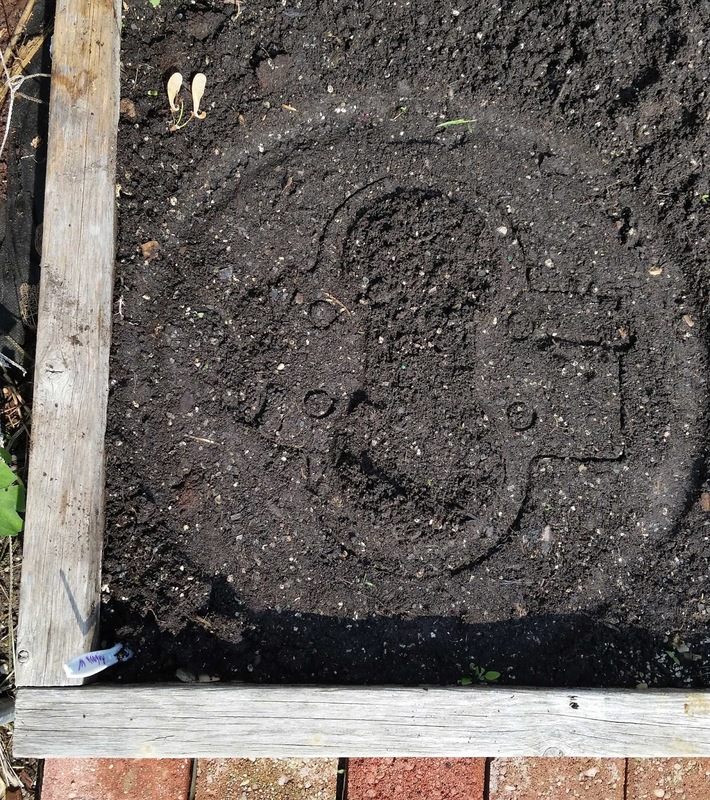 In this way, the Waterboxx eliminates most of the work of gardening. Only small areas are needed for Waterboxx growing - the side of a deck or a few sunny feet next to the house. It is possible to set up the Waterboxx in a few minutes, and a raised bed takes about 30 minutes to assemble, depending upon experience. We do recommend a raised bed garden as this elminates all tilling each spring and won't be invaded by grass. The Waterboxx can be used to grow tomatoes, peppers, zucchini, melons, squash, pumpkins, and eggplants easily, perhaps with some lettuce or other greens in the space between Waterboxxes. The Waterboxx doesn't fit beans or peas and these would probably need to be watered like a traditional garden. The Waterboxx is 16 inches in diameter at bottom - we suggest a raised bed at least 20 inches on a side. It is best to use more than one Waterboxx (2-4) as less wood framing will be needed per plant. 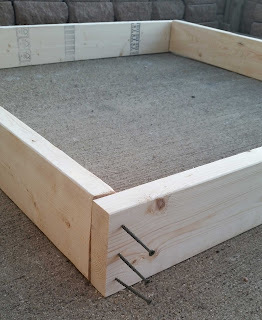 Get the required non-treated lumber to build a raised bed - for a 4x4 foot bed, two quantity 8 foot 2x6 inch non treated boards will be needed. Have these cut at the lumber store to be 4 feet long each. Attach weed blocking cloth to the bottom of the wood frame - not plastic. Set empty but assembled Waterboxxes on the soil to determine spacing - snug up against each corner (see image 3 below) and one in the center (for a total of 5 Waterboxxes). There will be space between each Waterboxx for lettuce or other greens. Let your family member follow the growth of their plants. They can check the water level in the Waterboxx and add water if their is no rain, usually at most every 2-3 weeks. In much of the country outside the Southwest, no additional water may be needed except during very dry spells. Have your family member pick fruits when ripe and enjoy all summer. At the end of the growing season, remove the wick from the Waterboxx and turn it upside down - it can be stored outside if desired, even in cold climates, if upside down. Next spring, insert new wicks into the Waterboxx and repeat steps 7-11, after fertilizing the soil. Image 2: Put three outdoor (deck) screws into each corner - each board should have three screws in its long end, parallel to it and three screws perpendicular to it. 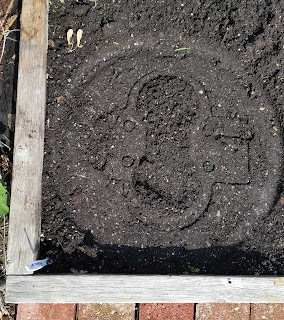 Image 3: Use an empty Waterboxx to determine spacing - press it down into moist soil to show the "Figure 8" central opening where plants will be placed. Image 4: Plant pre-started plants (eggplants shown here) in each end of the "figure 8" - most Waterboxxes do well with 2 plants and 2 wicks. 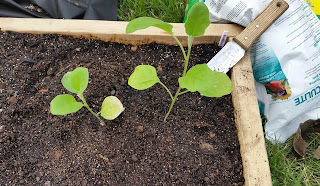 If you follow these instructions, and assure that the plants have sufficient room to grow and be supported (especially for vine plants like indeterminate tomatoes, cucumbers, and squash), your family member will soon be enjoying the fruits of your labor. There are few better gifts to someone who has helped nurture and support you. Get grandchildren involved for a special treat. Cucumbers and tomatoes growing in a small Waterboxx garden set up for a family member - no weeding and no watering required all summer. The Waterboxx is sold in the United States at dewharvest.com. We recommend buying 5 Waterboxxes for a 4x4 foot garden or 10 if you want your only personal garden plot as well.